CELEBRATING SAINT PATRICK’S DAY IN MALAWI. 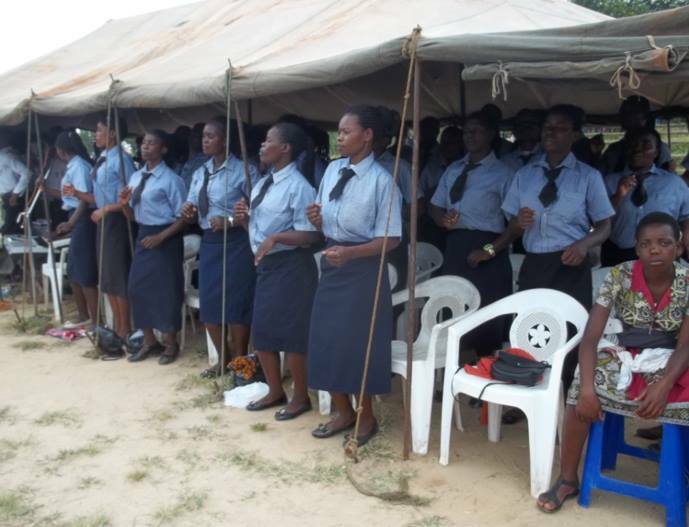 One of the apostolic areas that led the then Archbishop John Baptist Theunissen of Blantyre Archdiocese to invite the Brothers of the Immaculate Conception to come to Malawi was to run the archdiocesan educational institutions. 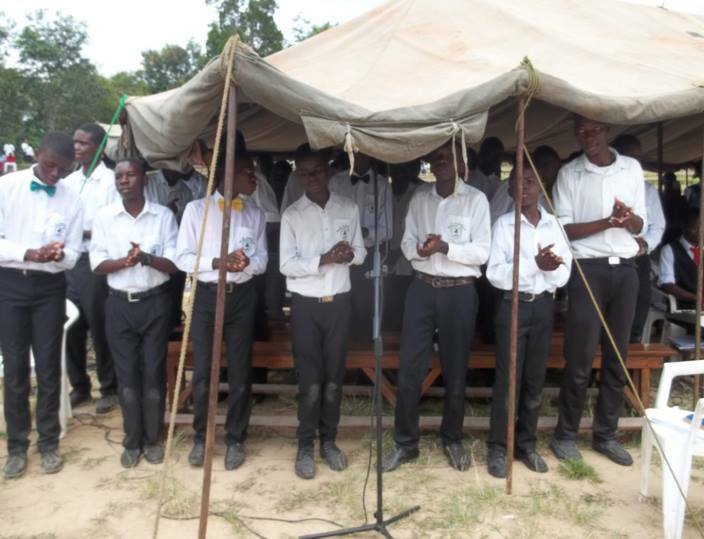 When the Brothers FIC first arrived in Malawi in 1960, they took over St. Patrick’s Secondary School from the Xaverian Brothers. This school is for boys only. Each year there is celebration at St. Patrick’s secondary school in honour of St. Patrick who was bishop of Ireland. 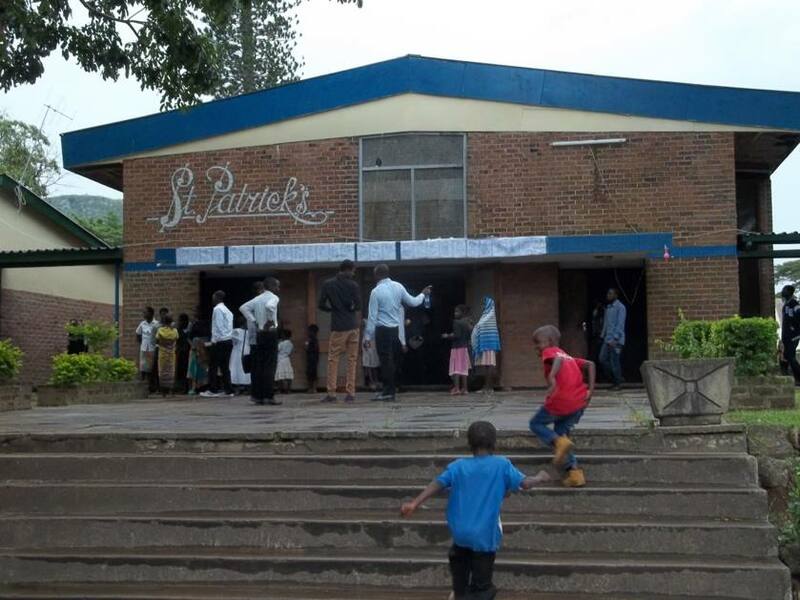 This year’s celebration was held on 17th March and was quite unique as the Archbishop of Blantyre Archdiocese was in attendance for the first time since he became the archbishop of Blantyre. 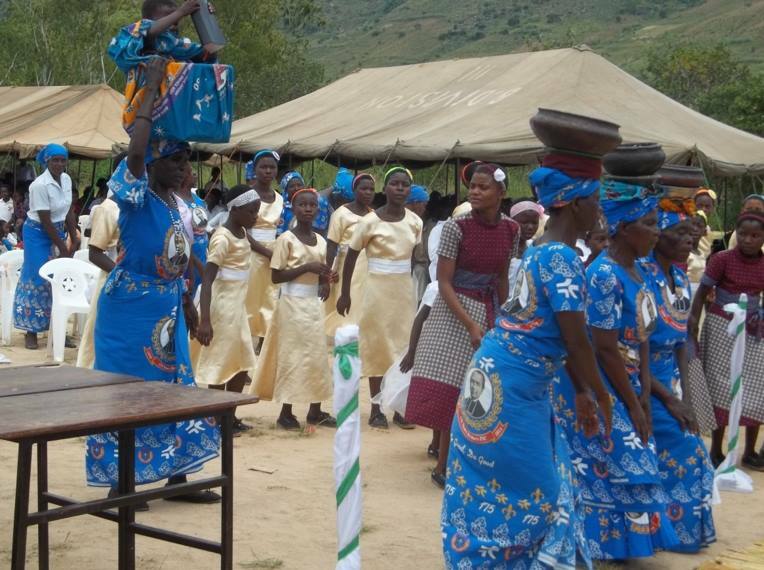 Secondly, it was also the first time the Mzedi parish and the people from the surrounding villages came together to celebrate the day. The whole celebration started with Holy Mass which was held at the school’s football ground. Towards the end of the Mass, there were speeches delivered by different people. The first person to speak was the head teacher Mr. Tungama, who welcomed the Archbishop. He quite extensively talked about the good performance the school is known for on public examinations. The St. Patrick’s students have on several occasions represented the Shire Highlands Education Division at regional, national and international level in competitions like essay writing in the Southern Africa Development Countries (SADC) region. Students who have visual impairment have also been doing well over the years and some have made it to university. The chairperson of Parents Teachers Association (PTA) Mrs. Njilima pointed out some of the developmental activities they have done like getting a water pump for the school to improve on water supply , drilling a borehole and purchasing solar panels to provide lights in the form 3 and 4 classrooms when there is power outage which Malawi is known for so as to enable our students to still go for evening studies. She further advised the students to follow school rules and regulations which are very clear and straight forward if they are to succeed in their studies. She urged parents that they should cooperate with teachers in shaping the students and not to be on the side of their ward whenever they misbehave. The Provincial Superior of the Brothers of the Immaculate Conception Bro. Lawrence Sitima thanked the Archbishop who spared his time to visit St. Patricks secondary school despite his busy schedule. 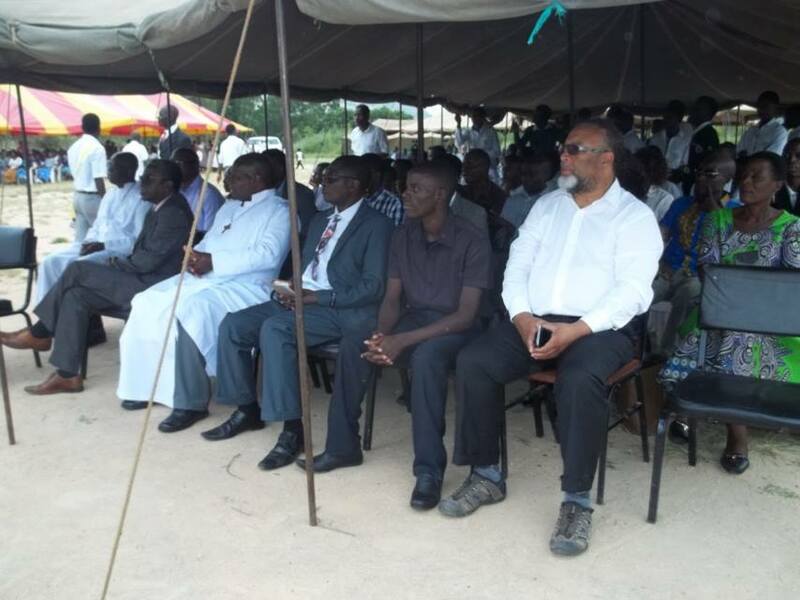 He further thanked the Parish Priest of Mzedi, Fr. Lazarus Zulani for organizing a beautiful and prayerful function. He further commended the PTA chair for ably chairing the PTA for a number of years from the time the former was the Head teacher of the school. Brother Sitima further thanked the two ‘old boys’ as our Brothers in Ghana would call them for attending the function and for the financial and material donations to the school. These two old boys are Mr. Osman Karim, chair of the Quadriya Muslims in Malawi and Professor Edge, kanyongolo, Constitutional lawyer at Chancellor. The provincial superior also asked the students to embrace the virtues of perseverance, integrity and prayer as St. Patrick, the school patron did. He acknowledged the challenges the school is going through and earnestly advised the students to conduct themselves in a manner the FIC Brothers promote in their schools especially these days our country and the world seem to forget our societal accepted morals. 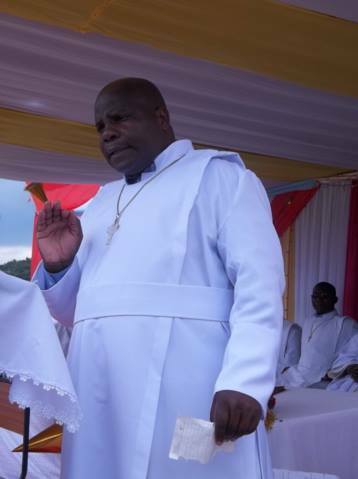 The Archbishop Most Reverend Thomas Luke Msusa, said that he came as an inspector who wanted to check things at the school and wanted to visit everywhere in the school. He assured the government officials that the church is committed in helping the government in the education sector. He asked the students to take good care of the structures that have been provided to them. He then asked the students to score good grades so that he can find some donors who can provide scholarship to them just as some do to female students in the country.